The next time that takeout craving strikes after a long day of work or school, give one of the quick and easy Asian-inspired recipes below a try. Who knows – you may find you love making your own more than the stuff that comes in the carton! You will have to find another way to get your fortune cookie fix, though. Spicy, zesty savory and sweet – do we have your attention yet? 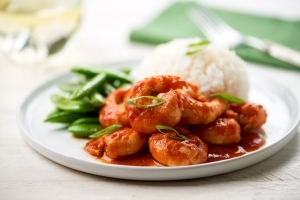 Our Shrimp with Tiger Sauce and Charred Snap Peas ticks all those boxes, and even better – it comes together in a flash. We get it – sometimes nothing hits the spot quite like a comforting bowl of noodles. 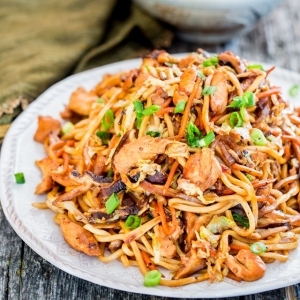 This lo mein is chock-full of veggies and chicken, for a one pan meal that’s sure to be a crowdpleaser. Trust us – you’re going to want leftovers. 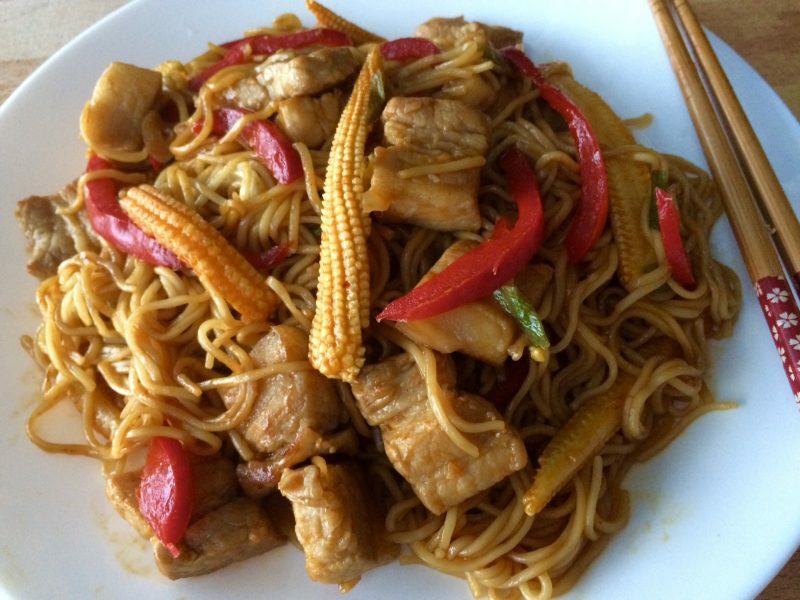 If chicken isn’t for you, try this delicious Pork Belly Lo Mein recipe from Jen Reviews. This dish is filled with yummy baby corn, sweet red peppers, and so much more! Fun fact: There’s nothing particularly Mongolian about this takeout fave, which was invented right here in America. 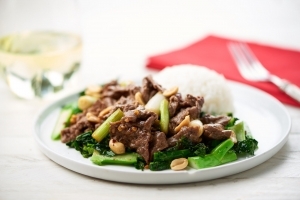 Even so, we’re suckers for the sweet, garlicky sauce-coated beef and our take adds some Chinese broccoli and roasted peanuts for crunch. Our Mongolian Beef with Ribeye Steak is an upgraded take on a classic you’re sure to love. Whether they’re made with crab or “krab”, we’ve got a weak spot for the crispy creamy bites that are a mainstay on every Chinese menu. 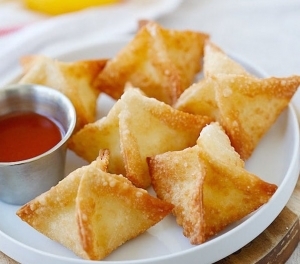 Crab Rangoon are surprisingly simple to make, and this recipe can even be made in advance and frozen, for whenever the craving invariably strikes. 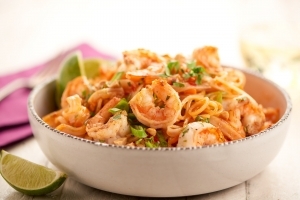 Always wanted to try your hand at making real-deal Shrimp Pad Thai but thought it’d be too difficult? We don’t blame you. Luckily, we’ve found a way to simplify this classic so that any busy cook can whip it up, even on a hectic weeknight. 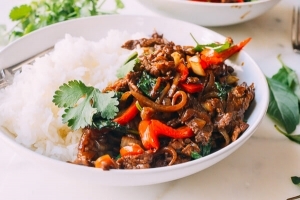 One of our all time Thai faves also happens to be a cinch to make, which means this fragrant and spicy Thai Basil Beef is going on heavy rotation in our kitchen, ASAP. 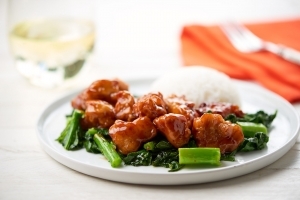 Some might argue that Crispy Orange Chicken is the ultimate takeout dish, and we’re in no position to disagree! Stick with us and you’ll have sweet glazed chicken, tender-crisp Chinese broccoli and fluffy rice on the table in less time than it takes the delivery guy to put your address into Google maps. 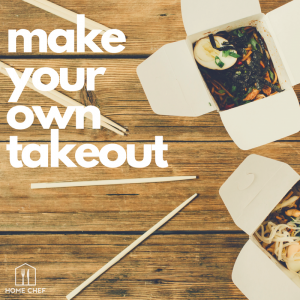 Try more takeout inspired recipes here.